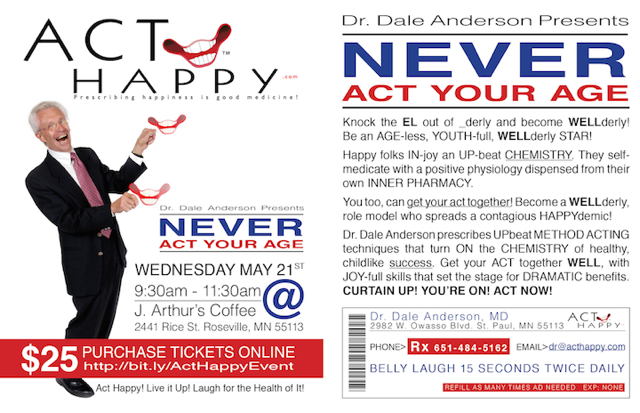 Act Happy » Never Act Your Age May 21st! Never Act Your Age May 21st! 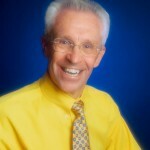 Dale Anderson, MD has practiced for over 50 years as a board-certiﬁed surgeon, emergency and holistic physician. In 2001, he became board-certiﬁed and a Founding Diplomat of the American Board of Holistic Medicine. He is a member of the American Medical Association, the Mayo Clinic Alumni Association, the American College of Surgeons, the American Holistic Medical Association, and the National Association of Senior Health Professionals.